MTI Baths was recently honored with a 2018 GOOD DESIGN® Award. MTI Baths was recognized for its innovation and cutting-edge IDD or Integrated Deck Designs. 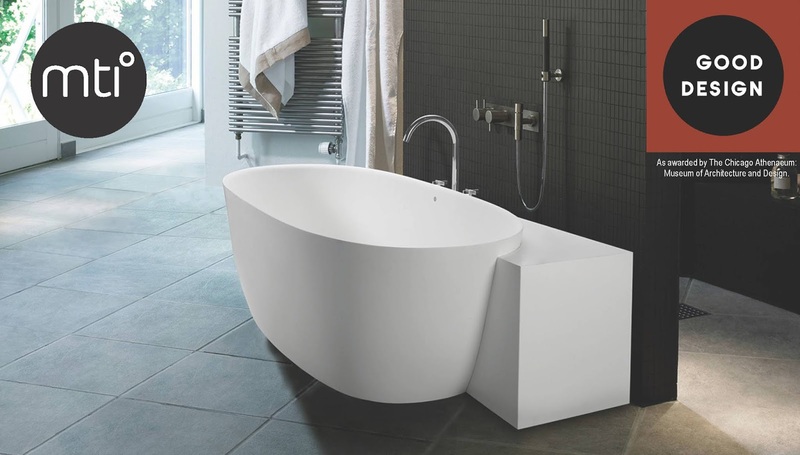 The Integrated Deck Designs by MTI Baths are customized partial tub surrounds constructed according to the desires, needs and spaces of the customer. Available to work with all MTI freestanding tubs, they snugly cradle the tub design without distracting from its aesthetic. Created from MTI’s proprietary SculptureStone® material which is 100% solid and 75% organic, the Integrated Deck Design provides a mounting space for faucets and toiletries and a concealed place for air bath blower motors, while also making cleaning easier. Founded in Chicago in 1950 by the The Chicago Athenaeum: Museum of Architecture and Design and The European Centre for Architecture Art Design and Urban Studies, GOOD DESIGN® remains the oldest and the world’s most recognized program for design excellence worldwide.